O.K. don’t tell Kamryn I posted this but, I just thought this was pretty funny. 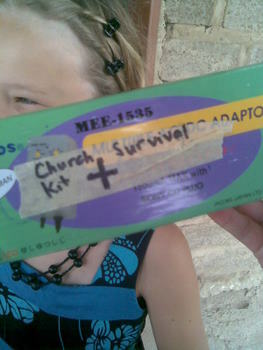 Church in Zambia can sometimes be a bit, well, hmm, long and well, you know, and most churches don’t really have Sunday Schools and what not… So, Kamryn put together a Church Survival Kit. Pretty funny, but kind of sad, too. Church was her absolute favorite thing of the week when we were back home. 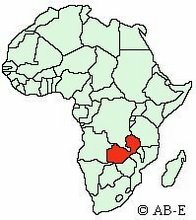 So, enjoy your churches and be thankful for what you have… And pray for us that we can help encourage and help churches here reach their youths for Jesus.